Mediterranean style is a particularly charming style decoration, because it uses soft and attractive colours, natural materials and creates a sense of freedom.Moreover, it will not cost you a lot of money if you would like to implement a similar idea for your home decor. As mentioned above, the colours of the Mediterranean style are those of nature – the colours of the earth and those of heaven and sea. All shades of brown, of course, also and of yellow, red, orange would work well and would make your home very pleasant for you and your guests. With regard to furnishing, Mediterranean style is characterized by beautiful pieces of furniture, made of wood and iron. The wrought iron furniture, for example, is one of the symbols of this very attractive style. Remember also to add to the decor and accessories in gold, olive green, or blue. These colours combine perfectly with both wood furniture and those made of iron. These accents could be any type, for example candlesticks, vases, statues, wall decorations and so on. The use of such decorations is necessary for Mediterranean style. 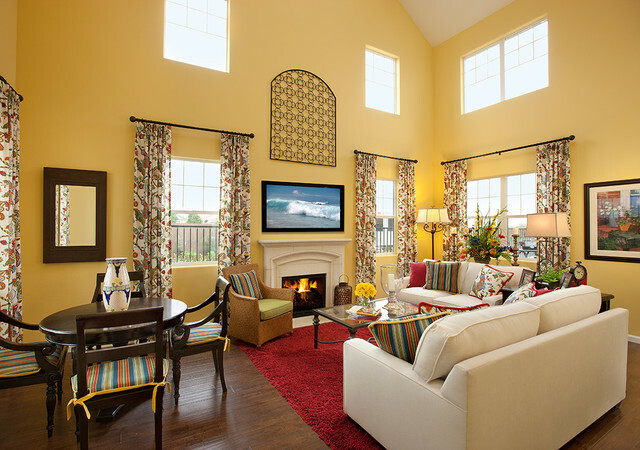 Fireplaces are also one of the required elements of the decor. Even better would be if you pay close attention to their decoration. For example, a stonewall would fit very well.If you do not have that option, then you could use wallpaper that mimic stonewall.Here is something else you should know about Mediterranean style decor – it is very romantic. 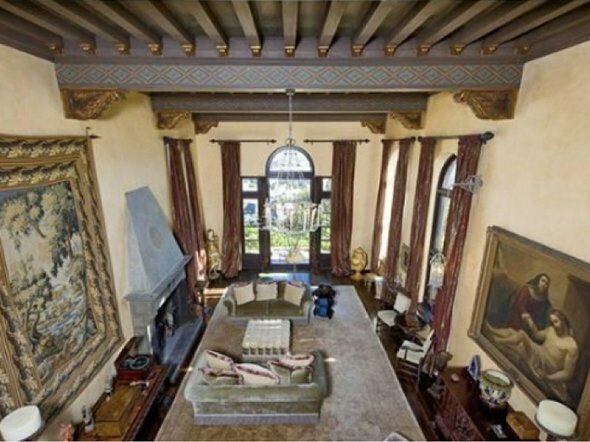 The walls should be decorated with tapestries and paintings. Pottery items are also preferred for decoration. 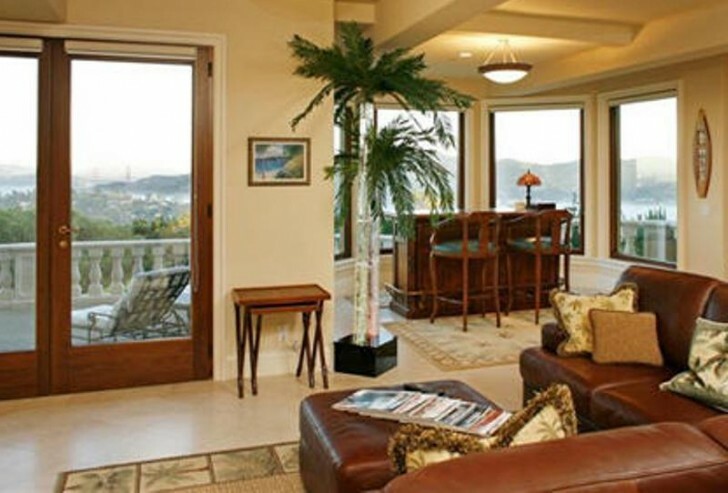 Flooring is another important element of the Mediterranean-style decor. Preferred are the natural finishes such as wood and stone. For instance, mosaics, as well as terracotta tiles would work well in this regard. You could also consider unpolished marble as a possible option for flooring. This material has a special charm and is very suitable for this purpose. The most important thing to achieve in creating your Mediterranean decor is an atmosphere of calm. 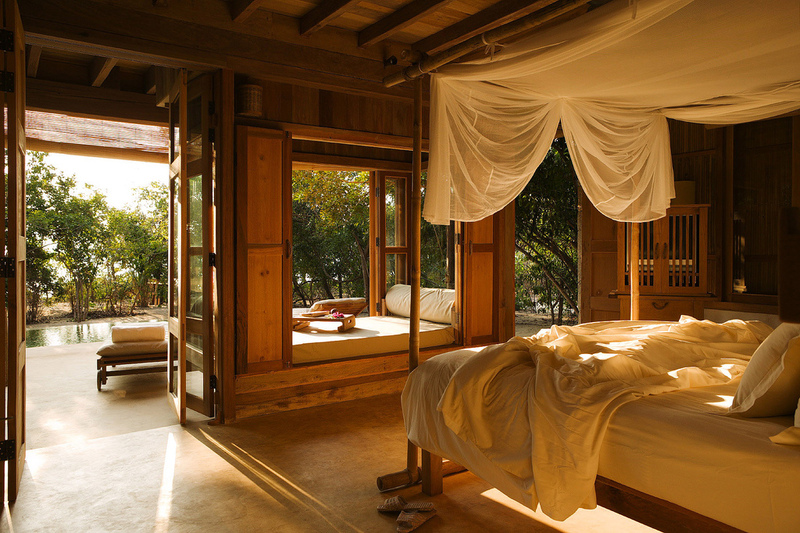 This is exactly the purpose of natural tones and natural materials – to help creating an anti-stressful environment where people feel relaxed and happy. 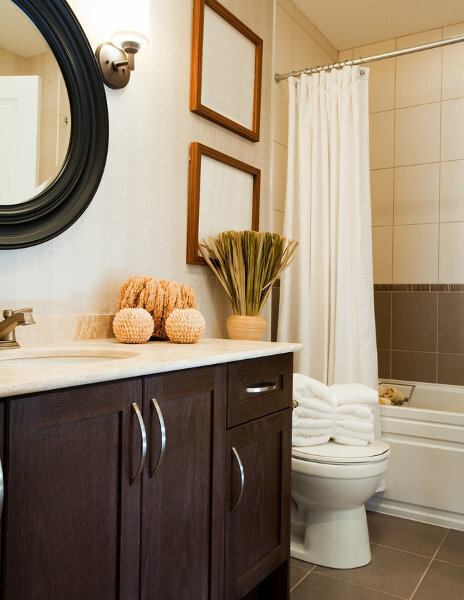 Bathroom decor in 2012 is characterized by a gentle, soft colours and earth tones used. In vogue are all natural elements. The interior can get a beautiful look, thanks to materials like glass, wood, metal and stone. The colour schemeshould use relaxing and refreshing tones. 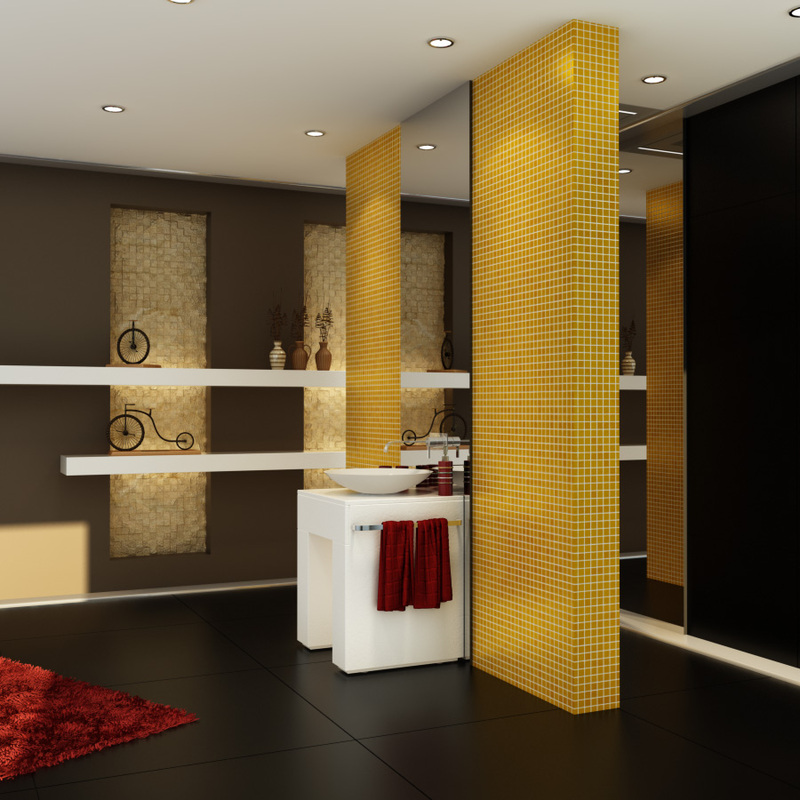 Overall decoration of the bathroom in 2012 is aimed at creating a spa decor. What are the most popular colours for the bathroom?One of the most attractive and trendy colours in 2012, it is the white colour.Priority will be given still and of all pastel colours.Light brown tones are much topical. They are earthly, good-looking and furthermore they are easy to combine with other colours. All this makes them very popular. The colour of ivory is also ideal for bathroom decoration in 2012.Especially good effect is obtained when combining it with green.If you are a fan of minimalist design, the better.In this case, white is your salvation both walls and ceilings, as well as to furniture in the bathroom. 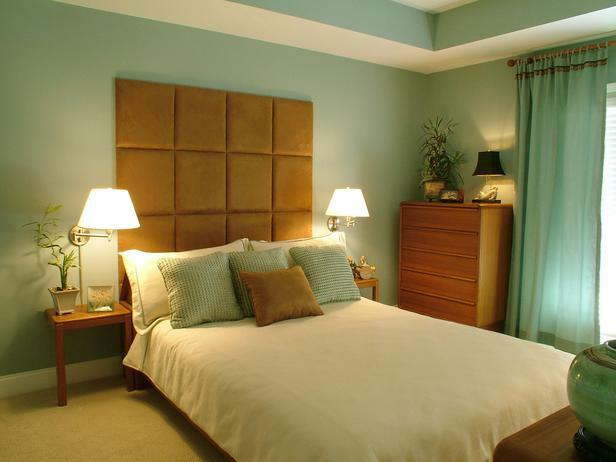 You can diversify with light shades of pink and light green. All these colours are characterized by flexibility and they would work well in any style bathroom.Of course, bathroom colours of 2012 can be bright.Bold combinations can work well in terms of bathroom decor. This is why you should not hesitate to use them.Colours like bright red and orange can certainly find their place in your modern interior.Usually designers recommend bright colours as accents in the decoration of the rooms, but you could paint in bright contrasting colours also the bathroom walls, or ceiling. It is also a good idea you to consider for metallic colours.In terms of materials and textures the options are also different.As mentioned above, wood and glass will work well. Wooden flooring, wooden wall panels and wooden bathroom cabinets this year again attracted attention.Shower curtains made of cotton will also help to create a modern bathroom decor. 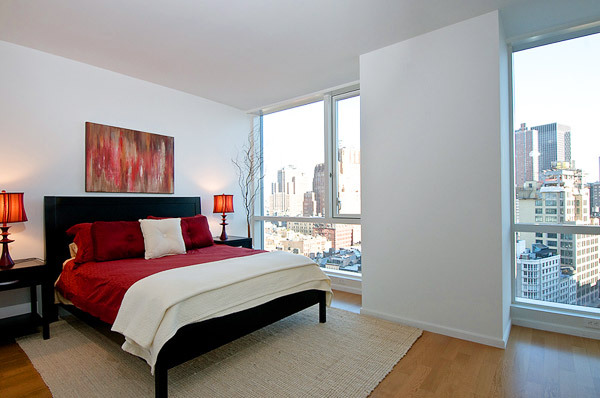 If you are a fan of the most exquisite decors, you can use beautiful glass walls. 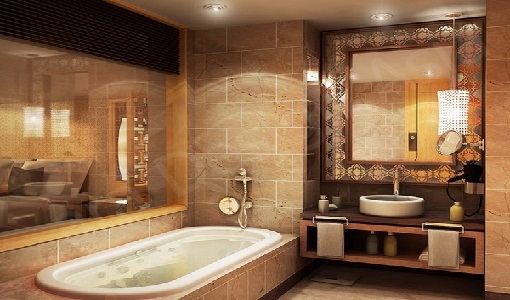 They are very spectacular and will make your bathroom decor very appealing and attractive. Try data recovery services on this page.